Yes, it’s Summer Fete time again, and I’ll be having my ARTSTUFF stall at St Leonard’s Fete on Saturday, 8th July from 11.00am to 2.30pm. 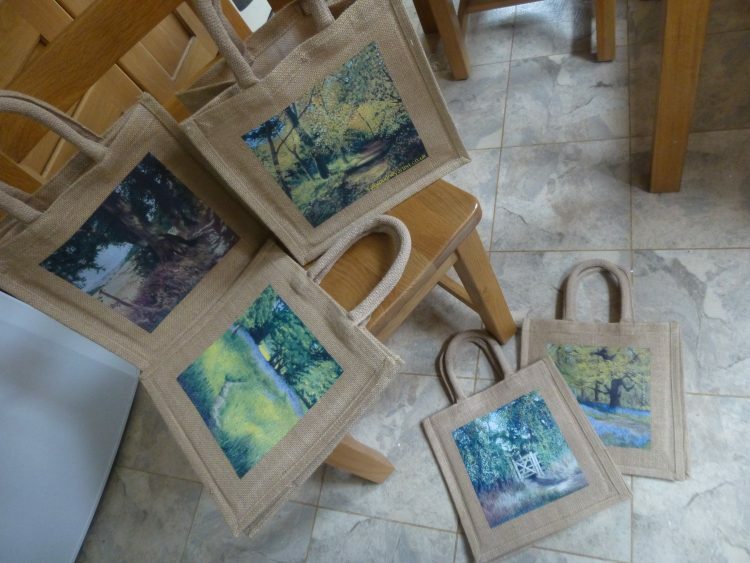 These have come out really well, and I’m delighted with the colour representation and the clarity of the image. 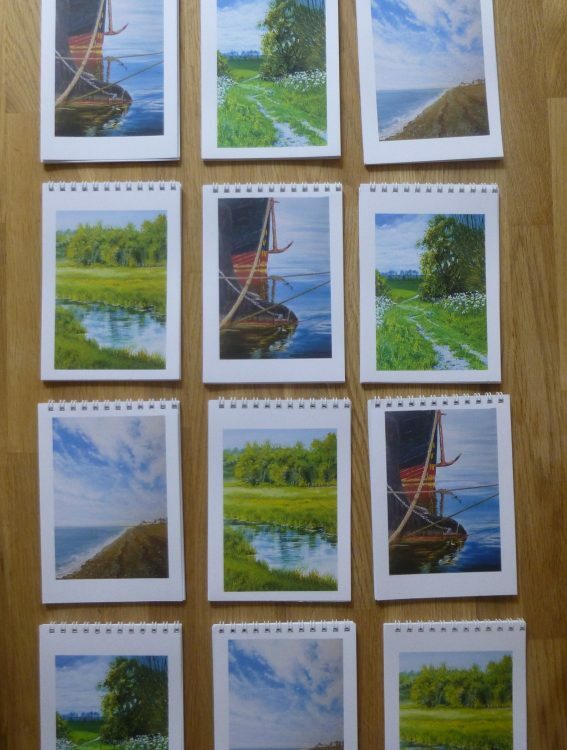 These are A6 size, with four different painting images on the front. I was thinking about getting my calendars made for Open Studios in September, and thinking what a pity that it is the only time in the year that I use my binding machine, which was quite expensive . . . so I started mulling over what else could I bind?? And these are the result. If they prove popular I’ll make some more for Open Studios. My third new thing – aprons! They haven’t arrived yet. I’ll share them when they do! I’ve also ordered more mugs in different designs, as I’ve almost run out of these and they are always popular. I will also have all my usual greetings cards, postcards, the Essex Wood Books and limited edition canvas prints on the stall.